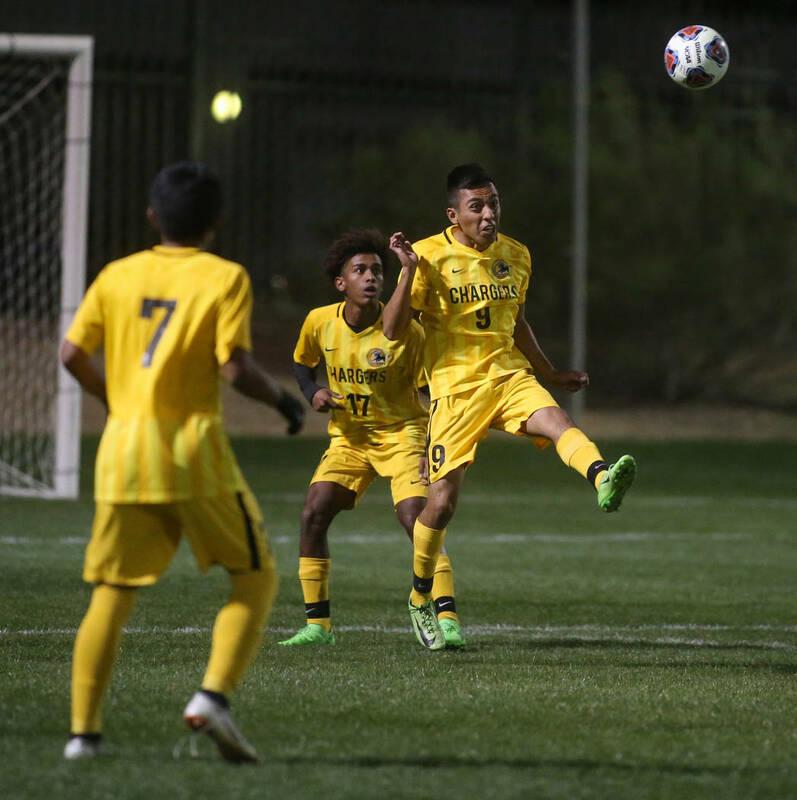 Abraham Dolley’s goal with 12 minutes remaining in regulation broke a tie and helped Clark’s boys soccer team snag a 2-1 victory over Tech on Tuesday in the Desert Region quarterfinals at Bettye Wilson Park. Abraham Dolley knew exactly what he wanted to do. When he saw the defender commit, Dolley wanted to sneak around him and shoot far side. Then he wanted to celebrate with a backflip. 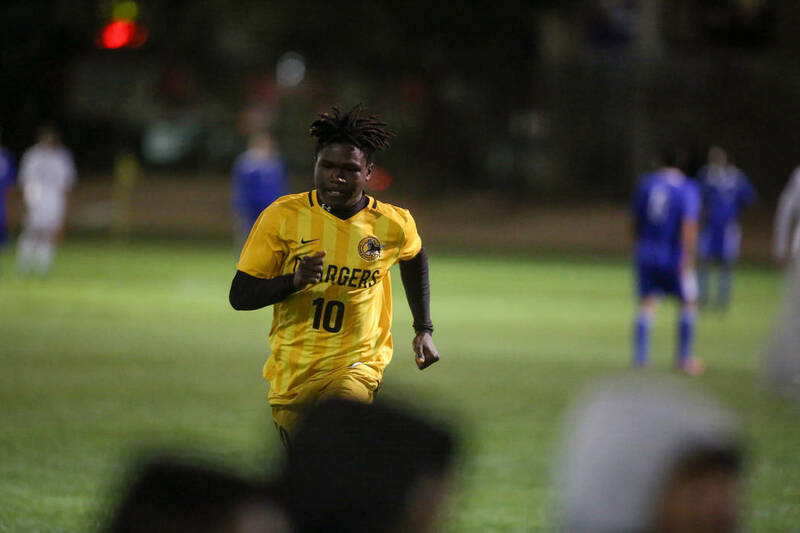 Dolley’s goal with 12 minutes remaining in regulation broke a tie and helped Clark snag a 2-1 soccer victory over Tech on Tuesday in the Desert Region quarterfinals at Bettye Wilson Park. 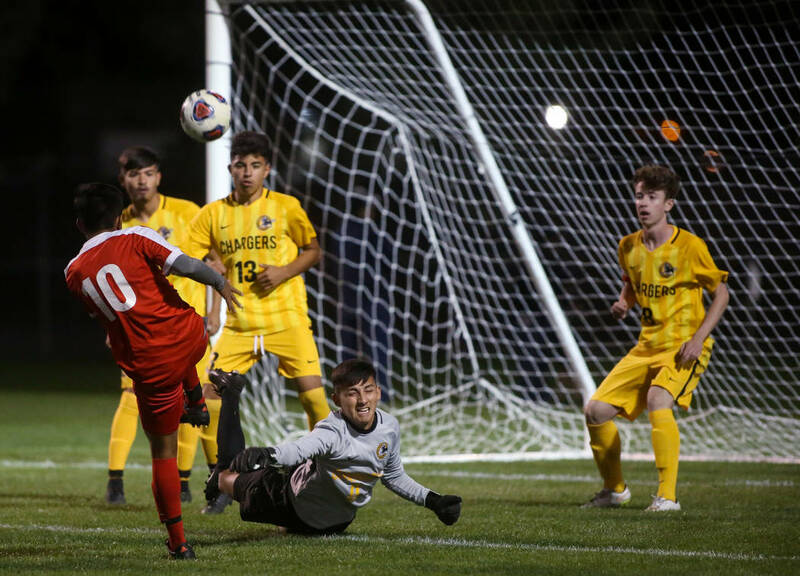 Clark faces defending state champion Coronado (17-2-1) in one semifinal Thursday, with Bishop Gorman (14-3-2) playing Durango (14-5-5) in the other. Both games are at Bettye Wilson Park at 4 p.m.
Clark (12-5-2) scored its goals in the second half, and they didn’t come easy. 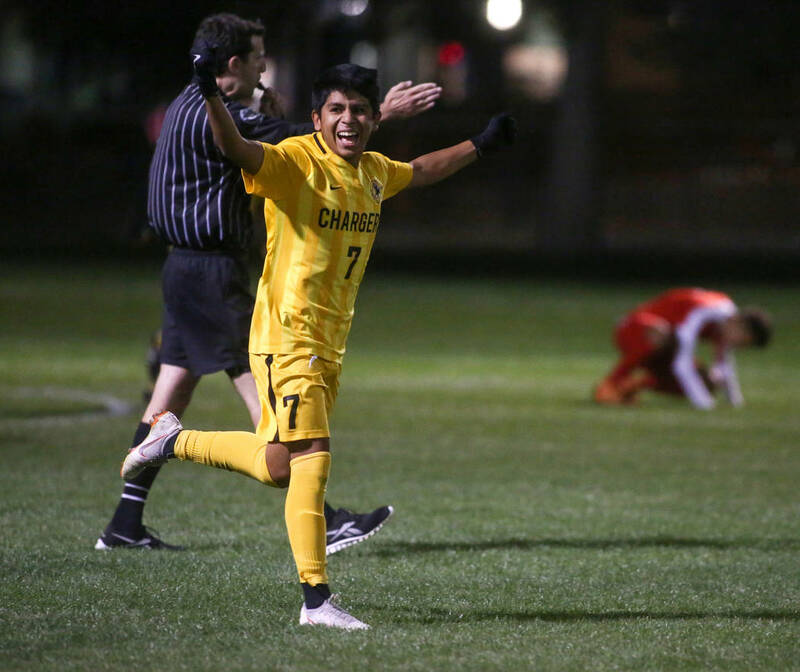 The Chargers were held without a shot until 19 minutes into the half, then scored on a Jacob Menchaca goal 60 seconds later in the 60th minute on a shot nearly identical to Dolley’s. 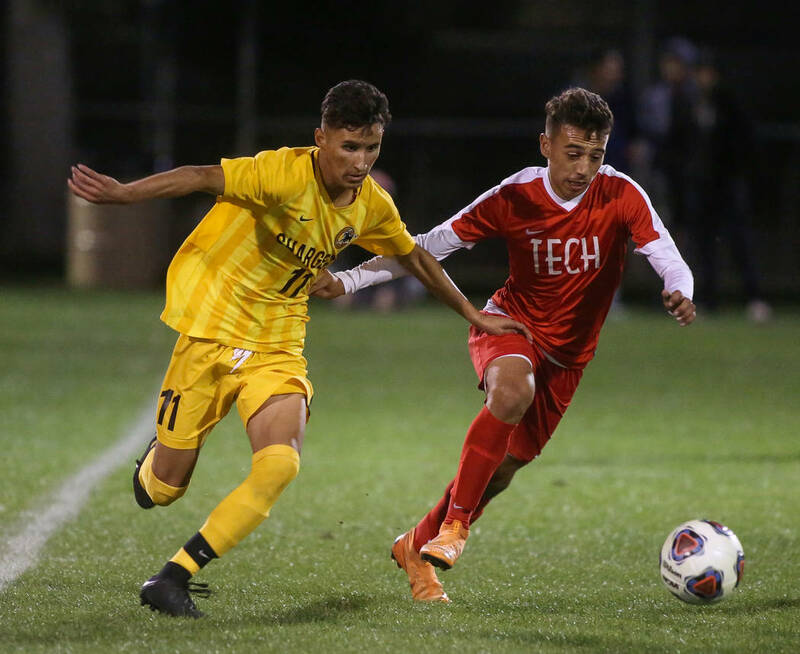 Two minutes after Menchaca’s goal, Tech (14-5-4) tied it on Alan Lopez’s goal. 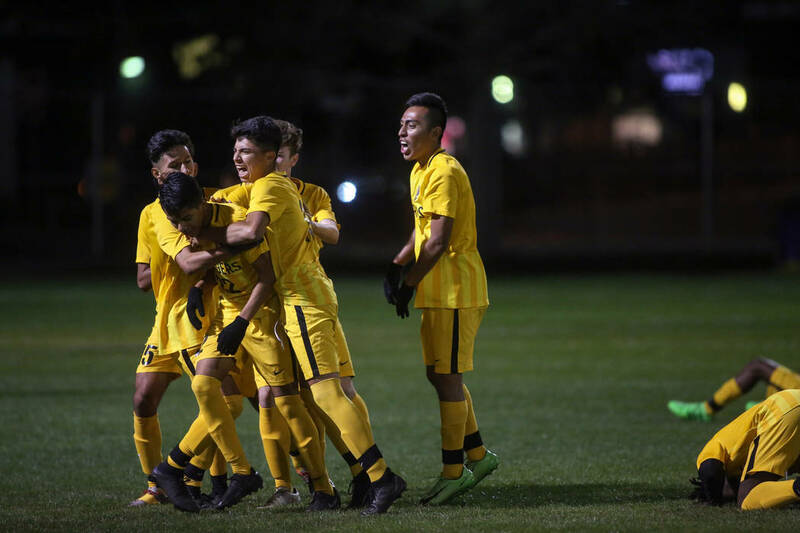 Tech had two prime chances later, but a 74th-minute free kick from a yard outside the box and a shot from inside the box soared over the net. Clark, which won just one game last season, won the state championship three seasons ago. Chavez said he thinks this year’s team has some of the same characteristics as the 2015 title team. Bishop Gorman 3, Silverado 2 — Brophy Howard scored 11 minutes into overtime to lift the Gaels to a victory over the Skyhawks. Gorman’s free kick went off the crossbar, and after a flurry in front of the net, George Charles deflected it off his chest, and Howard’s header finished the job. Alexander Daseler and Aidan Yamachika also scored for the Gaels. Sean Borla and Zach Jenkins scored for Silverado (6-14-2). Durango 2, Liberty 0 — The Trailblazers scored two first-half goals and Jason Sotello made nine saves to blank the Patriots. Durango’s Marcos Delgado scored on an assist from Tyson Tesfamariam, and Gael Delangel-Parra scored on a penalty kick. Liberty ended the year 11-8-1. Coronado 8, Foothill 0 — Alfredo Diaz netted a hat trick as the Cougars ran away from the Falcons. Brock Rideout, Ryan Wilkinson, Lincoln Aquino, Trendon Tondryk and Andres Siciliano all scored for Coronado. 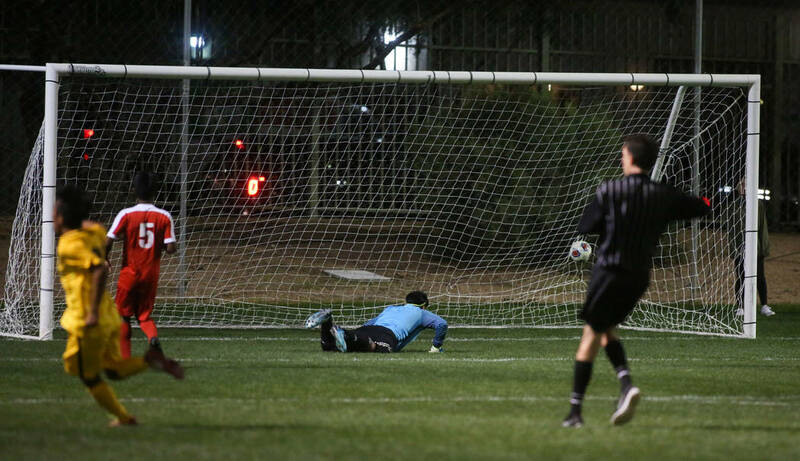 Josue Ruiz made one save in the Cougars’ shutout. Foothill finished the year 6-12-2.